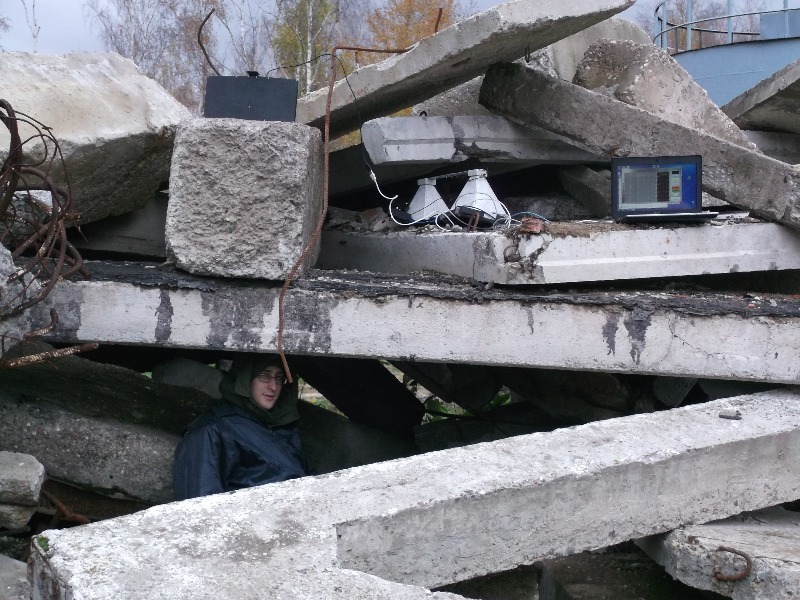 Testing of the device for people detection under the rubble – Ледомер. Георадар. Контрольно-индикационный прибор Пикор-Лед. Официальный сайт ООО "ФПК "ЭСТРА" производителя георадара Пикор. 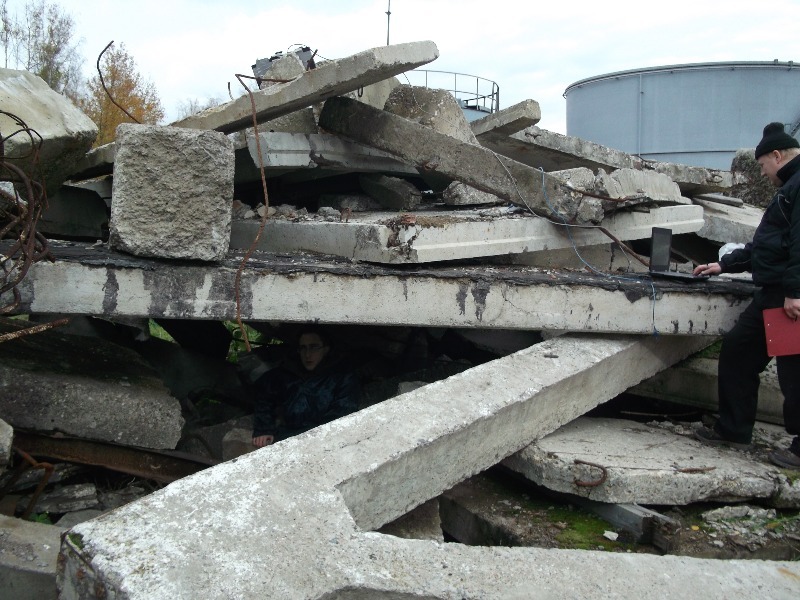 On October 11th 2012 at the landfill of the Ministry of Emergency Situations (MES) in Noginsk, Moscow Region the Scout 3M device for people detection under the rubble and through the obstacles was tested. 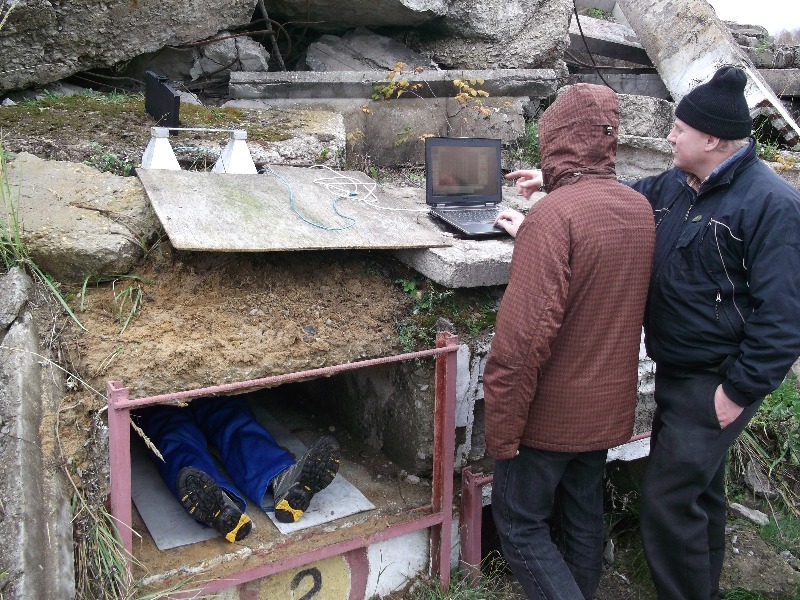 The tests were organized by MES rescue officers in the presence of their representatives. During the tests, the PicoR-Bio device has been tested of it’s capabilities to detect humans under different typical rubble and ruins formed during earthquakes and building collapse in man-caused disasters. Device has successfully determined the presence of a human under several concrete slabs, and under a layer of soil of 1 m thickness. Detection was made possible by victim’s body movements (perturbation of the hands, feet, turning) and breathing.